My Mom, myself, and my daughters on Christmas Day. It is unusual to get everyone to cooperate for a photo so I cherish each one! This page was all scraps except for the words which came from somewhere a long time ago! Love this four generation picture. Beautiful quote and beautiful page! Fun to see the generations here! Love that quite and may copy it! 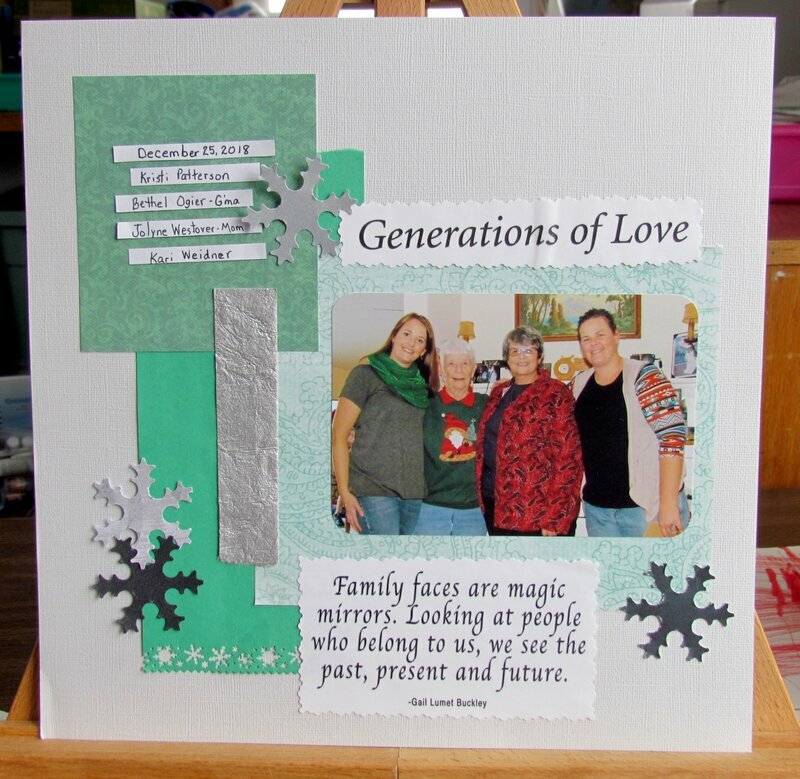 The snowflakes make a statement for time of year with color scheme love that you did not use "Christmas" papers. Love the saying, , nice photo and rememberance! A lovely job of layering and punched work.